CD & Power is a certified Woman-Owned Business, with License #757162, A, C-10. We sell, rent, and maintain backup generators for government agencies, grocery stores, office buildings, hospitals, construction sites, special events, disaster relief, planned power outages, and more! Our Mission is to be the Very Best Generator & Engine Service Company in all of Northern California, and Beyond! At CD & Power our mission statement is a way of life. “We power your success through Innovation, Education and Inspiration”. The day-to-day operations and management of CD & Power is headed by Lisa Carter who focuses her considerable effort on building a team of generator experts to offer generator sales, installation, service, repair, maintenance and parts for industrial users throughout Northern California. CD & Power was established in 1985 by Chuck Uischner, [who is best known as “The Big Tall Bald Guy”]. Chuck would fix all kinds of industrial engines and equipment during the day, and then do books at night. Back in those days, the generator and engine parts department consisted of a small desk and a shelf. Chuck expanded his generator and engine repair business by taking chances, and surrounding himself with motivated people. In 2013 Chuck transitioned ownership to his daughter, Jill Collaro as President, and his son Donald Uischner as Vice President. Now in our 30th year, CD & Power continues to be a family-run operation with a close-knit network of employees. Under Jill’s able leadership the company earned certification from the State of California as a WBE or Woman-Owned Business Enterprise. We will always have a person answer the phones during office hours. We believe it is impossible for a machine to understand your problem. We will take responsibility for our actions. We are always just a phone call away — Anytime, 24 hours a day. Generator Rental ranging from 10KW to 1MW. We provide all of the ancillary equipment to get your portable power up and running. Generator Maintenance including preventative service, repair, parts, and an array of services to help you remain compliant with air quality and other regulations. When the power goes out, you need to have confidence that you can get additional backup power on site, and powered up, quickly. Learn how to safely inspect your stationary backup generator. To be compliant it is essential that you have a secondary remote stop switch installed outside of where the generator is located. In tip #14 of the Generator Genius series we’ll be talking about the importance of installing the proper means of stopping and disconnecting your generator. Most generators come with a bright red stop switch on the control panel so that if someone needs to shut it down in an emergency, it’s simple to do. 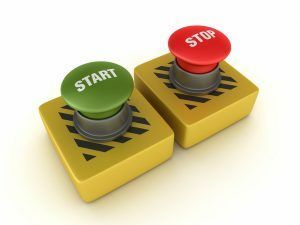 Activating this single stop switch does two things: 1) disconnect the electrical circuit, and 2) stop the “prime mover” – which is the engine that is generating the power. However, this single stop switch may not be enough to guarantee that you’d be able to shut down your generator in a proper and safe way. In the event of a fire, an obstruction, or other reason that the generator’s control panel could not be accessed, it is essential that you have a secondary stop switch located outside of where the generator is located. In fact, safety codes established by the National Fire Protection Association, or NFPA, require that any stationary generator over 15 kW capacity has a secondary, remote stop switch installed. Our technicians are trained in what it takes to comply with these regulations and have installed secondary remote stop switches for dozens of customers across Northern California. If you are not sure about your compliance with this fire code, or other safety and environmental regulations related to generator use, contact us to schedule a consultation. For more tips about how to safely operate and maintain your backup power system, visit us at gotpower.com. Thank you for joining me today and, until we meet again, remember at CD & Power, we’re powering your success. Determining the right time to replace a generator can be a daunting task. A standby generator is one of those pieces of a business that feels useless. Kind of like a Contingency Plan. Until of course the power is out and it is the lifeline to keeping your business functioning or providing critical life safety functions. At CD & Power we are committed to helping you make the most informed decision for your particular requirements. Even 3600rpm diesel engines normally have a 10,000 to 12,000 hour life expectancy with proper maintenance and service. Diesel engines have a distinct advantage in longevity over their gasoline counterparts. Mechanical parts wear out over time due to the friction caused by parts rubbing together. Diesel engines, however, are engineered and built to be more robust due to the higher compression ratio in the combustion chamber and the high torque output they produce. Diesel engines also operate at lower speeds (rpm) than gasoline engines, which means the bearings, piston rings, cylinder walls, valve train, etc., don’t rub together as often. Engine speeds are often half that of a gasoline engine. Here are some factors we suggest you use when evaluating/budgeting for equipment replacement. What is the equipment usage? 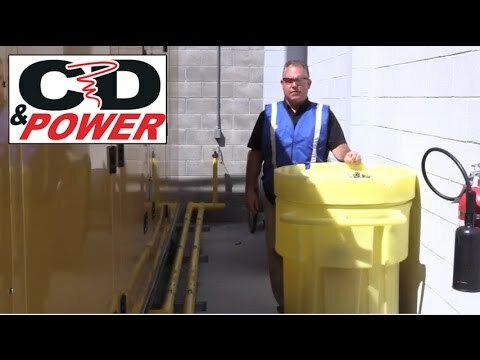 At CD & Power, there are over 100 generators in our rental fleet. Engines can go as high as 30,000 hours before experiencing significant difficulties. For most of us, we gauge usage in miles and not hours. Converting hours to miles is helpful in trying to determine replacement intervals for more heavily used equipment and to equate to a marker we more easily understand. This is a very subjective measurement. Estimates for the conversion can be as low as one hour equals 33 miles and as high as one hour equals 60 miles. So as an example, if you have 1250 hours on your generator that would equate to somewhere between 41,250 and 75,000 miles. What is the impact of air quality regulations today and in the future? Many 30kw generators that were manufactured before 2000 have engines that are over 50hp. Most generators that are 30kw that are manufactured today have engines that are under 50hp and don’t fall under air quality requirements. How does this generator impact your overall CARB (California Air Resources Board) and/or EPA footprint? What are the emissions now vs. the emissions of the new engine – This is especially relevant for portable generators and fleet averaging. Changing out one high emitting generator can be just enough to get your fleet compliant. What is the length of time the manufacturer will be supporting parts? The time range for parts support varies from manufacturer to manufacturer. It can be as little as 5 years for smaller manufacturers to 30 years for larger manufacturers. Getting parts that have been sitting on a shelf for 5-10 years can be a real challenge for reliability. The older the generator/engine the greater the chance that the part has been resold or repackaged. What is the condition of the: engine, generator and controls? Have there been any major maintenance issues that would impact engine/generator life? Is the generator oversized or undersized? Running a generator with a light load can lead to carbon build up in the engine and eventually cause damage to the engine. In addition, it can cause you to have emissions that are out of compliance and expose you to fines from air quality. Running a generator with too heavy of a load can have a number of implications. You can cause damage to equipment that the generator is powering due to the voltage/frequency drop. There can also be damage to windings from overloading wires. Most generators have a breaker in place to help lessen the chances of major component failures due to overloading. Was the generator properly installed in the first place? Will a new generator require a new cement pad, new conduits, fuel lines, etc.? Costs for removal and installation should be factored into the budget process. At CD & Power we offer turnkey generator maintenance and installation services. We are the largest independent generator service provider in Northern California. Call us today (925) 229-2700 and let us show you how we are “Powering your Success” or visit us on the web at GotPower.com. Warranty and Support. As with just about any piece of equipment, it’s important to recognize that the manufacturer will recommend specific operating conditions and maintenance procedures. Using the equipment in a way that is outside of those recommendations may void your warranty or at least make it more complicated for the manufacturer (or factory-trained service partners like CD & Power) to provide you with support. We recommend reviewing warranty documentation and checking with the manufacturer if possible. Maintenance Costs. As mentioned above, your diesel generator was designed and manufactured to operate reliably under certain conditions. The brands that we sell and service are definitely rugged pieces of equipment that (when well maintained) will do their jobs when called upon. BUT, they are also very sophisticated. Not only does it take regular service to ensure that your generator is poised to perform, it takes the right materials for it to operate at its peak – the right filters, fuel, coolant lubricants, etc. When servicing generators that have been running on biodiesel, we’ve noticed (and had to resolve) significant problems that don’t occur in systems running on traditional fuel. Risks to fuel system. Unlike traditional diesel fuel, biodiesel acts as a corrosive agent – etching into raw metal throughout the fuel system, including the fuel tank. The resulting rust can cause problems necessitating the replacement of the fuel system. As for the tank, it often needs to be replaced, or at least removed, cleaned and recoated. Increased regular maintenance costs. In order to minimize the corrosive impact of biodiesel, we recommend changing the fuel filter after the first 20 hours of use and every 100 hours thereafter. Additionally, seals and hoses will need to be replaced more frequently on a generator operating on biodiesel. The additional costs of materials and labor to manage this accelerated maintenance schedule should be considered. Environmental Impact. While the sustainability benefits of biodiesel are significant, its use in fueling a generator does come at an unintended cost. By shortening the usable life of the fuel system, fuel tank, ancillary equipment like seals and hoses, and maintenance items like fuel filters, using biodiesel contributes to more landfill waste than traditional diesel fuel. As with many things, the right answer for your organization may depend on a variety of factors. If you are considering using biodiesel in your generator, be aware of the additional risks, maintenance costs, and environmental impact. We are happy to be a resource, so feel free to contact us to discuss your particular situation. Did you know that we are our own customer? Because we have an extensive fleet of portable generators available to rent, our technicians can get pretty busy installing, servicing, and fueling our own equipment. In 2017 things were extra hectic because we brought on 12 (yes TWELVE) new portable generators ranging from 50KW to 1MW. We spent $1,000,000 on these generators– one of the biggest investments our company made in 2017. Why Buy New Portable Generators? So why did we do it? While expanding our fleet allows us to support more customers right now (let us know what you may need! ), we’re also positioning our fleet for air quality compliance with state and local regulations that phase in over the coming few years. We are anticipating retiring older generators as these new air quality requirements come into effect. California authorities certainly have been prolific in developing and adopting ever more stringent emissions limits over the years. But objective measures show that we’re all at least getting the promised benefits. Despite a growing population plus more vehicles and other equipment, emissions of tracked pollutants have dropped consistently each year for several decades. Portable engines rated for 50bhp or higher are subject. For details about the air quality compliance requirements, check out page 12 of the ATCM. What Are the Penalties for Failing Air Quality Compliance? It’s important to keep in mind that California is divided into 35 regional air quality management districts, so we recommend reviewing the rules and penalties as described by your respective district. Typically, if your organization is found to be in violation, you would receive a notice of violation that details the reason. It’s important to take immediate action to avoid significant penalties. Depending upon the circumstance, the AHJ (Authority Having Jurisdiction) may consider each day your equipment is out of compliance to be a separate violation – meaning that significant penalties could rack up quickly. California Health & Safety Code, Section 42402 allows for penalties to be as high as $1,000,000 per day per violation! If you have portable generators or other regulated engines, be sure to keep your fleet up to date. New, more stringent, emissions standards must be met by January 1, 2020 – less than 2 years away. We’re investing now so we’re not under pressure to make the changes (and swallow the costs) all at once. Letting your organization get out of compliance could be very costly. If you have any questions about emissions regulations in your area and whether or not your equipment is compliant, contact us to schedule a complimentary compliance consultation. This week PG&E provided additional details about its fire safety plan for 2019. An important factor -- expect more and broader blackouts this summer and fall. The announcement lays out the expansion of the Public Safety Power Shutoff (PSPS) program. More details available on the PG&E website. Single phase or three phase? How much cable do you need? How many hours per day will the generator be running? Does the generator need to be delivered? Do you need CD & Power to do the installation? Fill in the answers and have the information posted on or near your generator along with our 24/7 hotline 866-468-7697. At CD & Power we like to think we have written the book on how to prepare for disaster, THE DISASTER RECOVERY AND CONTINGENCY POWER PLAN. If you would like help creating your backup power plan, give us a call at 866-468-7697. Jump to the 3:15 mark to see OUR rental generator (and camera-friendly technicians) hard at work to supply power for this Safeway store! Software plays an ever increasing role in our daily existence. We have travelled far beyond that fifth dimension, foreseen in The Twilight Zone back in the sixties. Driving into an automotive service station with an engine problem, what is the first thing a technician will do? They will plug the engine into a computer, because the engine is really run by software. The same is true for backup generators. Our technicians are well versed in how system software manages and monitors your generator. Sometimes, however, our hands are tied by proprietary software that we are not allowed to operate. It can be more than just frustrating – it can result in otherwise avoidable down time. Let’s use an analogy to get the point across. If your generator uses proprietary software it still can be serviced by any service company. It is when changes to the software need to be made that proprietary issues take over. Generator manufacturers that use proprietary software certify specific technicians (and provide them hardware “dongles”) to alter certain software settings that may need to be adjusted. So now not only are you restricted to a particular company, you are also restricted to a particular technician within the company. “Down Time” becomes a whole new metric. Image if you will a frustrating scenario. You purchase the car of your dreams. You would normally have it serviced at the locally owned repair facility that you know provides the highest quality workmanship without the expensive labor rates of the dealership. Unfortunately, the non-warranty repairs can’t be completed because the manufacturer won’t allow your repair facility (or any other one not directly affiliated with the manufacturer) access to software to make the repairs. Let us share how this situation can actually play out. One of our service reps recently had to cope with proprietary software in solving a customer issue. He had no trouble diagnosing the problem: a malfunctioning electronic control unit (ECU). Given that the ECU’s software was proprietary to the generator manufacturer, we were told (after several calls) that an authorized technician, equipped with a hardware interface we do not have, would need to confirm our assessment. After another series of calls and call backs, we were finally able to arrange a visit by the technician. He indeed confirmed what our tech had determined two weeks earlier. The needed part came a week later but we are still trying to schedule a return service call from that vendor-approved technician. Excessive down time, inoperable or poorly operating generator power, and additional cost turned what should have been an easy layup into a seven game series. This is not to bash the technician or the service company – everyone involved, especially the generator owner, are forced to operate within a structure that doesn’t scale well. Keep this issue in mind the next time you are in the market for a new generator. You will find that most of the smaller manufacturers utilize controls with an open architecture. This means that the software is not “locked” and it doesn’t require any special connectors that are controlled by the engine or generator manufacturers. This allows you the freedom to choose the service provider that best fits your needs. And, when problems surface you will exercise better control over the “down” in down time. If you have questions about your generator’s software, or are considering buying a new generator and want help to select one that will fit your needs, give us a call at 866-468-7697. Let us be part of your winning team. What Will My Generator Power? When an outage strikes and your generator kicks in, what will it power? We asked one of our project managers to help us answer this question. “In short, a generator can be configured to power whatever you want it to power,” he explained. For one, powering everything may be cost prohibitive, and likely unnecessary. Thinking now about the generator support you will need in the event of a power loss, will optimize your disaster-preparedness plan. The size of your facility and the nature of your business generally dictate your generator requirements. If you are running a real estate office, a basic, system generator may be all you need to back up your computers and lighting. If you are running a hospital you need heavy duty, diesel generator power to keep service on line for everything from operating rooms to the cafeteria. When the lights go out, compliance with safety regulations stays in effect. In calculating what your generator will have to power, pay attention to the safety-related requirements that apply to your facility, like fire alarms and exit lighting (which may be accomplished with battery backup instead of a generator). Are there additional requirements such as: egress lighting, gas alarm, public address systems, floor power for critical areas, critical ventilation, and essential mechanical and medical equipment? What you need is described in the National Fire Protection Association (NFPA) code. Note that testing requirements may also be more stringent for municipal operations involved in life safety, like fire departments, police facilities or schools. Consider what you need to keep the business running during a power failure. Beyond regulations, a power outage can do harmful and expensive damage to essential systems in your business or operation. For example, cooling or heating may be essential to keep product from spoiling. For many organizations, important computer systems may need to be backed up as well. One also has to consider that a generator cannot be configured to back up a smattering of equipment spread throughout a facility (powered through different electrical panels). So if a facility is determined to have essential equipment in varied locations, the cost of re-routing those select circuits into a common panel (that can in turn be backed up by a generator) may be large; if so, it may actually be cost-effective to back up your entire facility vs. tackle all the additional rewiring. Ask yourself a critical question. How old is your generator? Are you confident it can manage the burden growth has added since your current generator was installed? Now is the time to think about your disaster-preparedness plan. Anything or everything can be backed up, but the right answer is likely different for each organization. At CD & Power we have a wealth of knowledge and experience to power your planning. Call us today at (866) 468-7697 to let us assist you with your generator planning and requirements. Arc flash, also known as flashover or arc fault, is a risk for any workplace that has energized equipment. This uncontrolled electrical discharge can cause serious injury or even death for any workers in the vicinity. Read on to learn more about arc flash danger around generators and how to protect your workers. All electrical equipment is designed so electricity will follow a particular path. But sometimes, that electricity follows an unexpected path. It may jump to another conductor, or it may move to ground. An incident like this is called an arc flash. An arc flash’s massive electrical discharge can create a dramatic and rapid increase in temperature, as much as 35,000 degrees Fahrenheit. That can create fires and serious burns in workers, with non- fire-resistant clothing melting onto skin. When the discharge is serious enough to vaporize the conductors, arc flash can create a supersonic shockwave called an arc blast. This explosion can be as loud as a gunshot (140 dB), with pressure upward of 2,000 pounds per square foot. This blast can send objects flying, including molten metal created by the initial arc flash. As you might imagine, arc flash can cause serious injury or death, and a worker in an arc flash accident may never fully regain her quality of life. Experts have identified several ways to protect workers from arc flash danger. These are vital for anyone working with electricity to understand. De-energize the circuit. This is the only 100-percent reliable way to prevent arc flash, and it should be standard practice to only work on de-energized circuits whenever possible. If the circuit must be “hot,” workers should follow all other listed safety procedures. One way of making electrified circuits safer is by installing arc fault circuit interrupters (AFCIs) or ground fault circuit interrupters (GFCIs). These are automatic circuit breakers that de-energize electrified circuits when they detect unusual energy flow. Follow all safe work practices. Anyone working on an energized circuit should receive proper training. Written safety programs and on-the-job briefings are ideal, and many organizations also request an Energized Electrical Work Permit (EEWP) from all employees working on the electrified circuit. This training should include instructions on reading arc flash warning labels, differentiating between live and de-energized equipment, determining nominal voltage and determining clearance distances. Use insulated safety equipment, including gloves, mats and blankets. Barricade the approach boundaries, and restrict access to certified personnel. The National Fire Protection Association (NFPA) has designated certain approach boundaries surrounding an exposed, energized part. The innermost boundary is the prohibited approach boundary, and entering this zone is considered equivalent to touching the live part. The restricted and limited approach boundaries describe areas in which there’s a steadily decreasing risk of arc flash. The flash protection boundary is the outermost boundary; anyone from this point onward is at risk of a curable second-degree burn. Be aware of circuits’ energy levels. For instance, if a generator feeds an automatic transfer switch (ATS), the ATS and all other equipment downstream often has higher energy levels than it would if fed by normal mains electricity. This can increase the risk of arc flash, and necessitates greater safety precautions. Arc flash is a serious risk to workers’ safety, but with a little care you can protect your employees. And if you have any questions about your generator’s arc flash risk, or if you need it serviced, don’t forget to reach out to CD & Power for help: the time you take could save your employees’ lives. Why Does Our Generator Start or Stop for No Reason? The questions are not without merit. Your generator is a complex piece of equipment that for most of the time, particularly if it is not exercised on a regular schedule, sits idle. It’s not unlike that multi-million dollar “closer” on a baseball team. He sits around most of the time. Days go by where he relaxes out in the bullpen and, the only thing he’s doing with that million dollar arm is lifting a Gatorade. But late in a tight ballgame he needs to come in and throw heat for just one inning. In a power failure you need that “heat” for much more than an inning. You need the confidence that a reliable generator is going to provide immediate and sustained, backup power. If your generator does not seem to be operating normally, it is vitally important to know why. To us, any question you might have about it is a good question. Here is just a brief sampling of the questions we hear about generators starting and stopping. First of all, there’s always a reason. Let’s review a few of them. Was there a power outage, however brief, that triggered the start? Sometimes, a brownout or power failure, other than a complete outage, could cause your automatic transfer switch to cut over to generator power. The generator is exercising per its schedule. Make sure your generator maintenance company has established an exercising schedule. How often you are permitted to run the generator for this purpose is regulated by the air quality management authority. The CD & Power Compliance Department can answer questions you have regarding regulations. Just call us at 866-468-7697. The most common reason is a dead battery. The battery charger may not be working, a common symptom when someone unknowingly turns it off at the breaker or puts it on the same circuit as the block heater, which trips the breaker. The control panel draws a little current from the battery constantly, hence the need for the battery charger to be continually on. A low coolant level would prevent the start. Because there is a safety issue here, the sensor setting is intentionally conservative. This means it’s quick to assess that coolant is low. Low fuel pressure could be a factor. In attempting to start the engine did it “over-crank?” The engine will only try to start so many times until it stops trying. If power has been restored the generator will stop running. There may be a fault in the engine due to rodents. They like to take up residence in your generator and, in lieu of food, they’ll chew on wires and hoses. The block heater may not be working. Emissions issue, for example diesel exhaust fluid level is low, or noxious emissions have otherwise been detected. 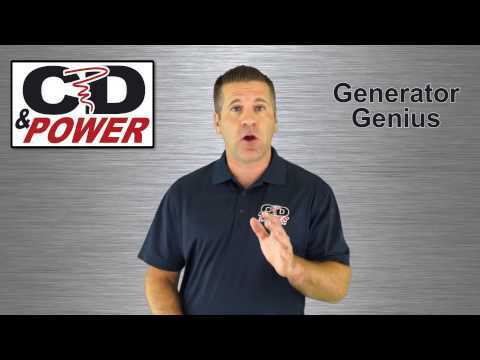 If generator dependability is your goal, our “Generator Genius Video Series” lays out a road map to get you there. If you already haven’t done so, designating one person on your staff to manage generator issues would be a sound measure. The Generator Genius videos would provide a comprehensive tutorial for that manager. If you think you have questions we haven’t heard, challenge us. We might learn something ourselves. About that “haunted” generator? We don’t have an exorcist on our staff but we have a field force experienced in tracking and vanquishing the demons that might lurk in your generator. 1) PG&E announced its plan to proactively manage wildfire risks. You can read the full report here. Some key things to note: they will be more aggressive in managing vegetation around power lines and are warning customers now that they will conduct “Public Safety Power Shutoff[s]” when concern about wildfires is high. 2) In order to receive advance warning about potential shutoff, customers are reminded to update contact information in your PG&E Account. We encourage you to login to your account and confirm the information is accurate and as complete as possible — we recommend including multiple points of contact. The PG&E site is currently reminding visitors to do this. 3) PG&E has also published a page to help you determine if your power is likely to experience a shutoff during fire season. We encourage you to visit that page now to check. Even if your business is not directly in an area with high risk, the power line that services your facility could run through a high risk area, subjecting you to a possible shutoff. Go check this now. Regardless of where you are located, check to make sure your emergency power plan is up to date. While the risk is highest for our customers in areas at risk of wildfires (or serviced by power lines that run through high-risk areas), everyone is at risk of planned or unplanned outages or brownouts. Here is a refresher about how to create a complete emergency power plan. It would also be helpful to review our backup power “lessons learned” post after last year’s wildfires. If you are concerned about potential shutoffs, determine your emergency power outage needs and whether or not extra power will be needed. Given these announcements, we expect many locations that rent portable generators will soon have no inventory. At the very least, we recommend that you document a thorough plan for renting portable power. Contact us to discuss your situation so we can help you determine everything from power needed to cable lengths so you could be up and running fast. We should all be glad that PG&E is taking steps to reduce the risk of the electrical grid contributing to or starting a wildfire. We want to help you minimize the impact of outages on your operation. Take the steps above and contact us if you have any questions or concerns. Powering the Success of Northern California means we also help you remain compliant with the numerous agencies and codes that regulate your generator use. We’ve simplified the complex maze of requirements so you are ready for a surprise inspection and mandated reports are just one click away.